Hey fashionista! 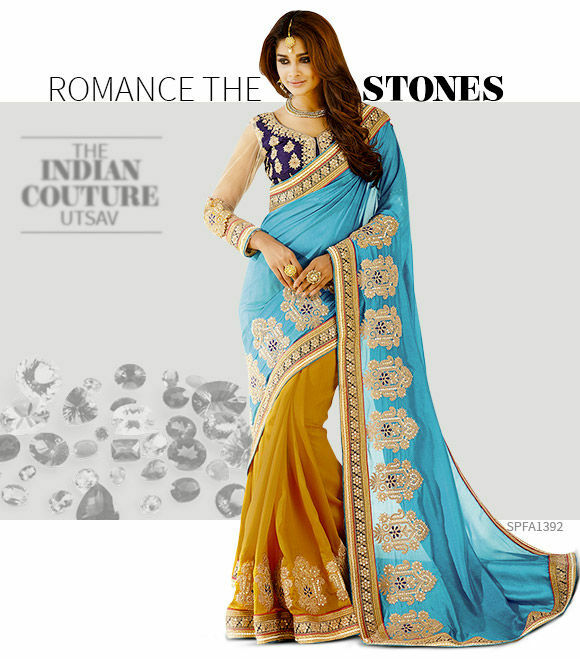 Here's our pick of ramplicious styles for the upcoming wedding season, just for you. Each of these designer-inspired collections feature must-own trends that range from Bright hues to Black-n-Whites, Velvets to Silks, Floral motifs to Stone work. 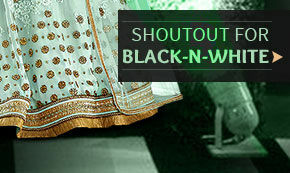 So now that we've given you the perfect excuse to pull out your best ethnic looks, what are you waiting for? Sizzle away! 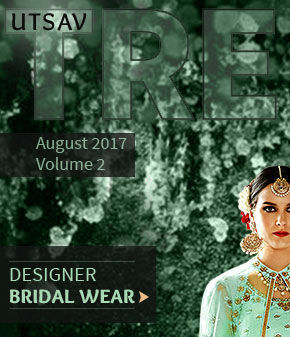 Vrindavan's romance and Rajputana's regalia are the highlights of this wedding couture. 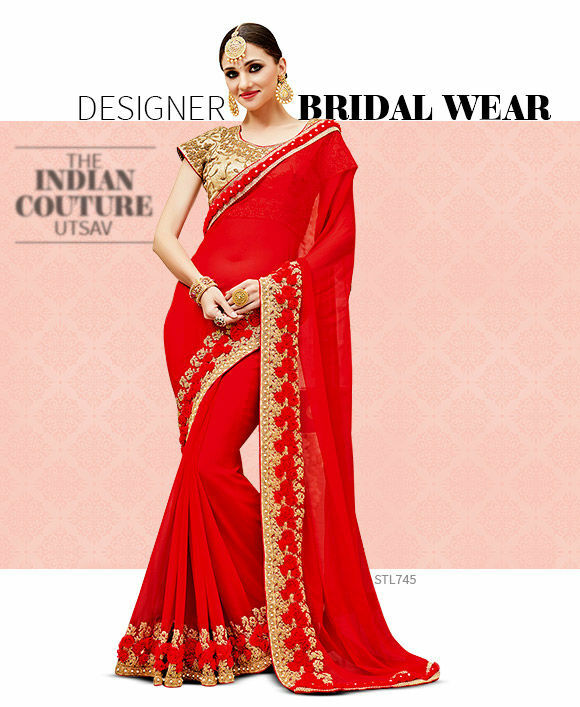 Explore Indian Wedding Wear in popping hues of red, green, yellow or blue. The night sky shines bright, this season. For an ethereal look, own our whimsical Monochrome Collection in wispy Georgette and Organza. Up the glam quotient with the use of crystal in your signature attire. 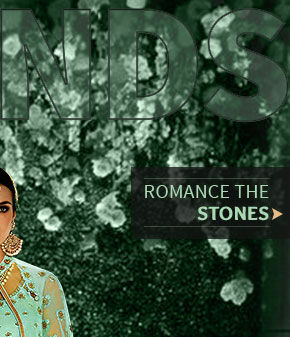 Lose your heart to our stylish ensembles with dazzling Stonework right here! 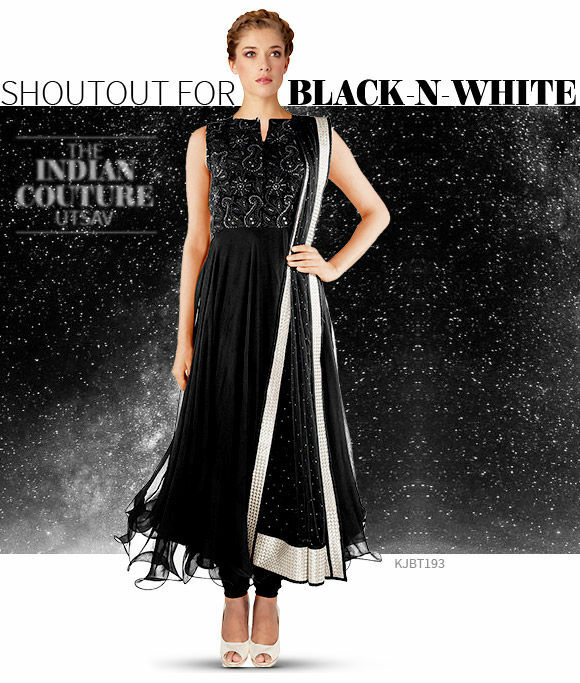 As a tribute to India's heritage crafts, here's unleashing traditional weaves for your closet. 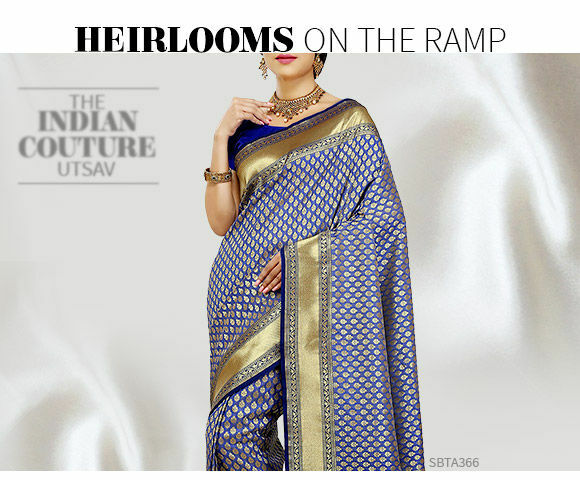 Take a bow with heirloom drapes in rich Silks and handcrafted motifs. 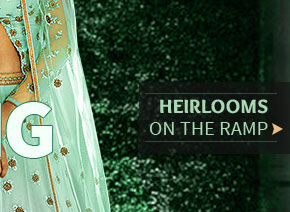 India's heritage is woven into our twirling Lehengas with intricate motifs. 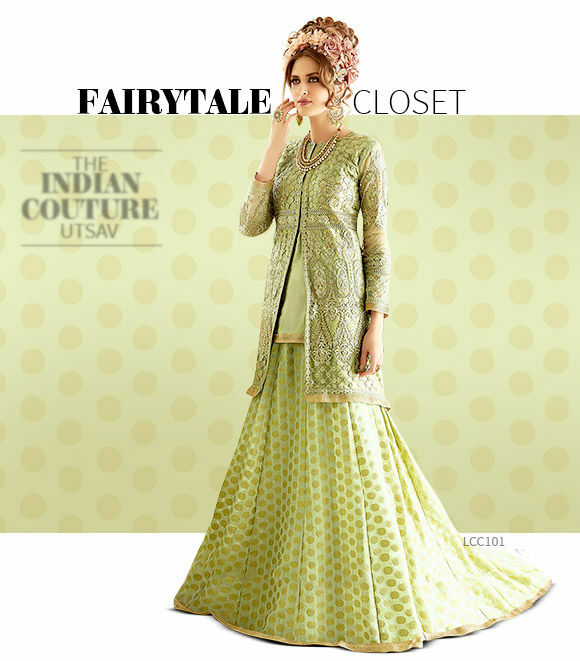 Step out like a queen in Lehenga Cholis with kalidar Jackets for a glam mix of royal and chic. 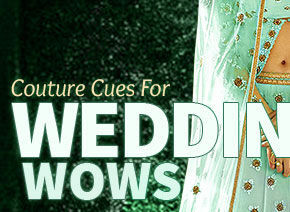 Weddings are all about a dreamy, flower-dominated collection in an eclectic mix of colors. Don't miss our ensembles in Floral Print and Embroidery with pretty feminine nuances.